Excellent location overlooking Palm Cove, Apres Beach Bar & Grill have a range of food at reasonable prices. Informal and casual dining atmosphere. Bookings are required as Apres is popular with locals and visitors. Open for Breakfast, Lunch and Dinner this Bar & Grill is part of the Paradise on the Beach Resort. This dining hot spot is the only eatery in Palm Cove that has balcony dining. Enjoy a meal while enjoying wide views of the Coral Sea. The head chef is the owner so you are guaranteed a fantastic meal - the seafood platter designed for two is a speciality. This award-winning Palm Cove restaurant has live entertainment on some nights. Located at Alamanda Palm Cove by Lancemore this Palm Cove restaurant has absolute beach frontage and offers superb cuisine for breakfast, lunch and dinner. This restaurant has been listed in Gourmet Traveller Top 200 Restaurants in Australia. The restaurant sometimes sets up dining on the grass among the palm trees beside the beach. On Friday and Saturday nights there is live music in the cocktail bar. Every pizza fan who visits Palm Cove must visit this restaurant. It is well known by the locals for the best pizzas in North Queensland. Il Forno has fabulous Italian style food that is well priced and overlooks the Coral Sea. Takeaways are also available. Nu Nu Restaurant features contemporary Asian-inspired cuisine with al fresco style dining. This Palm Cove Restaurant was named regional restaurant of the year in Australian Gourmet Traveller's restaurant guide awards in 2007. Nu Nu Restaurant also has a superb wine selection to match each dish. 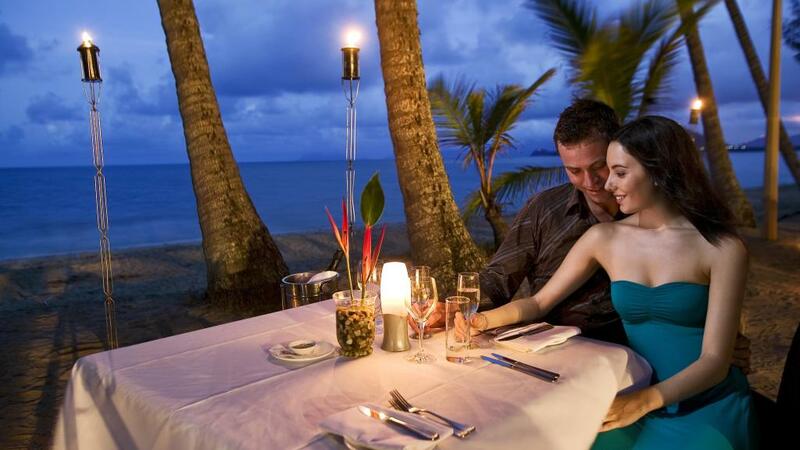 This Palm Cove restaurant is located at the front of Peppers Beach Club and Spa Palm Cove. The Palm Cove Tavern offers bistro bar dining with a choice of indoor or outdoor dining. With affordable prices, the Palm Cove Tavern is a great place to take the kids with a secure playground area and huge meals featuring steak, chicken, seafood and much more. The Palm Cove Tavern also offers a gaming lounge. Casual dining located at the Sea Temple Resort Palm Cove. Open for breakfast, lunch and dinner with a contemporary menu featuring modern Australian cuisine, flavoured with the tastes and trends of the Pacific and South East Asian region and prepared using the finest and freshest produce. Tamara's at the Beach is the signature restaurant at Peppers Beach Club and Spa and offers outdoor dining in elegant surroundings. This Palm Cove restaurant specialises in modern Australian cuisine and is a romantic setting perfect for a romantic dinner. Imagine sitting on the deck at Lime & Pepper overlooking the beautiful Coral Sea. 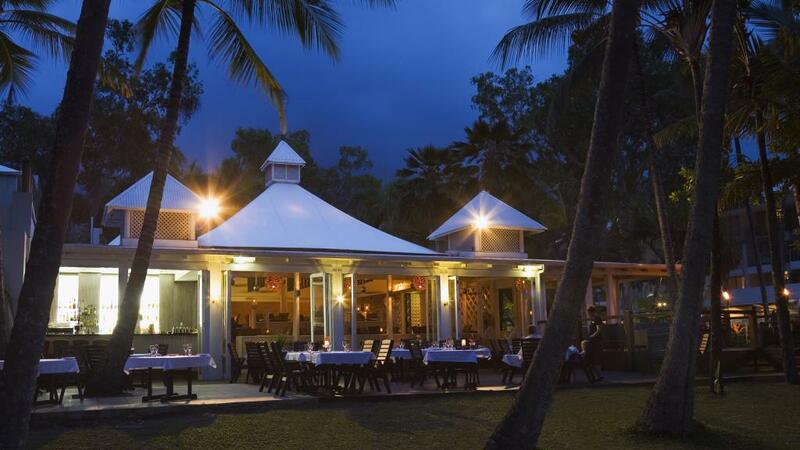 The Sebel Reef House Restaurant has been regarded as one of Cairns' finest restaurants for many years. 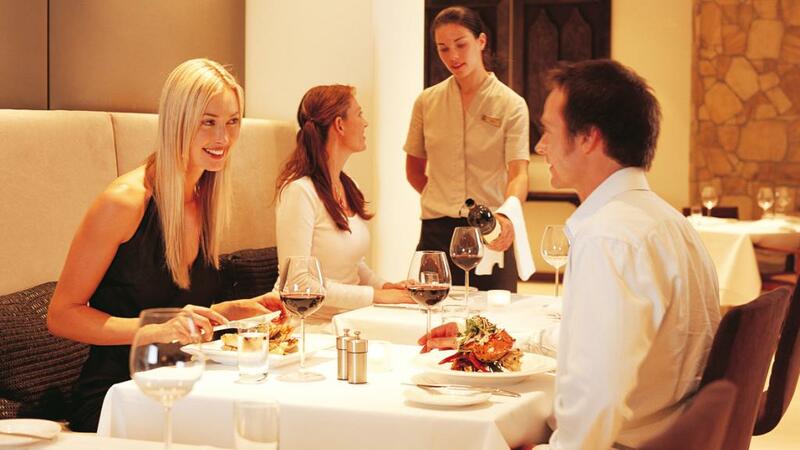 It joins a enviable location with impeccable service and fine food. Romantic elegant beachside dining in the heart of Palm Cove, this restaurant has been listed in Gourmet Traveller's Top 200 Restaurants in Australia. Open daily for breakfast, lunch and dinner and is located at Sebel Reef House and Spa Palm Cove. Vivo Bar and Grill is the 2005 winner for catering in the Italian Restaurant category. 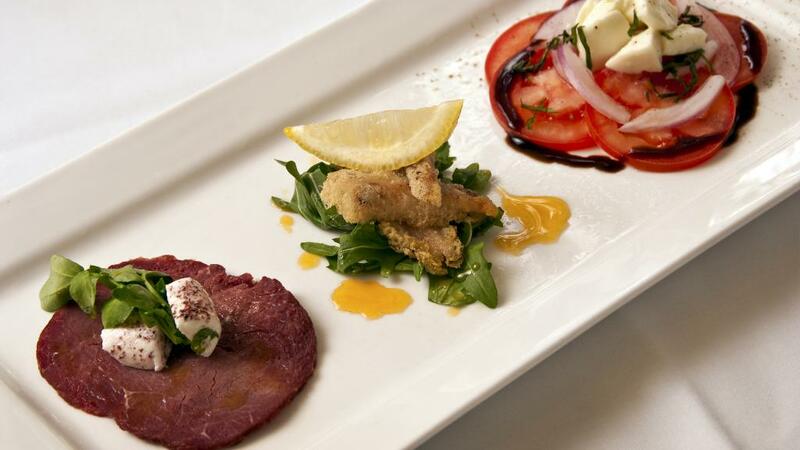 If you are a fan of Italian cuisine then make sure to dine at this delightful restaurant. Vivo Bar and Grill has a position right on the waterfront. Vivo Bar and Grill is open every day for breakfast, lunch and dinner. We are happy to recommend the nearest and best Palm Cove restaurants in conjunction with Palm Cove accommodation bookings.